Fortunately, seems that there aren’t too much difference for third party programs, for example we don’t have the compatibility issues that we got with Veeam Backup & Replication and vSphere 6.7 Update 1 release. Note that Veeam Backup & Replication 9.5 Update 4a is already compatible with vSphere 6.7U2. This new update will simplify the upgrade process, making more easily manage the different VMware vSphere build versions (unless new updates will be released for version 6.0 and 6.5). But remember that is like a new version. Plan carefully your update or upgrade and check all the diffent compatibility before start the process! For example, for VMware vSAN most the controllers compatibility are just update to vSphere 6.7U1, so check the HCL and wait to update if your hardware compatibility has not yet updated! For the upgrade process, most of the VMware vSphere 6.7 upgrade notes that I wrote for Update 1, are still valid also for Update 2.
vCenter reccomended topologies – as already announced, with vSphere 6.7 Update 2, VMware has deprecated the external PSCs topology and now warnings are visible in the vCenter Server Appliance installer UI or CLI. Please see KB 60229 for more details. . With VMware vCenter Server enhanced link mode introduced in vSphere 6.7, is possible to connect up to fifteen (15) vCenter Server instances in the embedded PSC topology, eliminating the need of external load balancers and simplifying the overall architecture and the lifecycle management of it. Also vCenter Server 6.7 Update 2 includes a brand new System Configuration interface. Within this updated view you are now able to see information on nodes that are within your vCenter Server Single-Sign On (SSO) Domain. 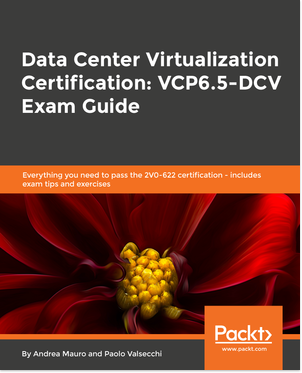 You can see information such as the Load Balancers, External PSCs and vCenter Servers. Information about your environment such as the health, type, version, uptime and replication partners is also available within this updated section. Improvement in vCSA Backup and Restore – vCenter Server 6.7 Update 2 includes new protocol support for backing up and restoring a vCSA by adding (finally) Network File System (NFS) and Samba (SMB). Another improvement to File-Based Backup is the introduction of Event Notifications for backup & restore. New vSphere Health – vSphere Health works to identify and resolve potential issues within a customer’s environment. It works quite similaty on how vSAN Health was designed for. Telemetry data (if you enable CEIP) are collected analyzed from the vSphere environment and used to guide the vSphere Administrator through remediation. For more information see Understanding vSphere Health & Tech Field Day 18. There are new VM configuration maximums in vSphere 6.7 Update 2 to have up to 256 vCPUs and 6TB of vRAM enable customers to virtualize database intensive applications such as SAP HANA. 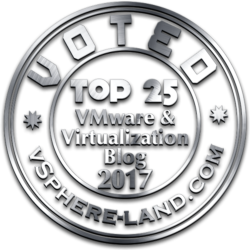 This means, for the first time in an update release, a new virtual hardware version: VMware vSphere 6.7 Update adds the new virtual hardware 15 version! Customer demand for compute intensive workloads such as SAP HANA has driven this new version. Note that you should only upgrade your VM Compatibility to v15 if you need these new configuration maximums: at present these are not supported on VMware Cloud on AWS and in some other products. For mroe information see the vSphere Configuration Maximums. The new Update 2 version, brings a new version of VMware Tools: the 10.3.10 version. This release includes updates to the Open Source components glib, openssl and libxml2. It also includes a security fix for the Windows Display Driver Model (WDDM) driver. 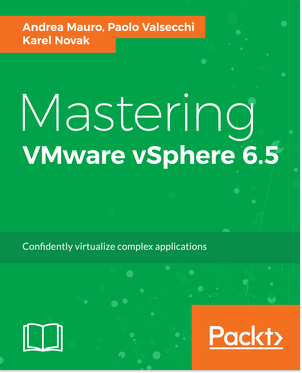 See also VMware Tools version in vSphere 6.5 and 6.7. 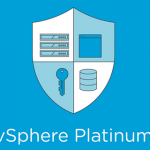 Of course, this means also a new updated version of VMware vSphere Platinum. There are several new capabilities to AppDefense with this release, delivering increased application visibility and enhanced security lifecycle management. New scope level dashboards provide a real-time snapshot of application health and an overview of the security validation checks performed. There is a new vSphere Remote Office Branch Office Enterprise (ROBO-ENT) as the highest end edition of vSphere Remote Office Branch Office, an efficient and secure platform for your remote sites and branch offices. It includes all the features of the ROBO Advanced license with the added features of VM encryption and DRS in Maintenance Mode (DRS-MM). For more information see: Introducing vSphere ROBO Enterprise with DRS-MM.